Politics exist all over the world. In every community, institution, region or country, political issues exist. These are the set of believes that people in a given country or religion use for political regulations. Every political culture has its standards and values. However, various countries practice their political issues in different ways. The political leadership differs from one country to another. Nowadays most countries have democratic governments but there are still some dictatorship governments. With the democratic government in the majority of the countries in the world, people enjoy their human rights such as the freedom of speech, right to vote, elect leaders of their own choice, freedom to travel to other places and countries, among others. In North Korea, the central government is the Democratic People’s Republic of Korea (DPRK). The ruling government is the Korean Workers Party, which is the only political party in North Korea and no any other legal opposition or political party exists. Although the government is claimed to be democratic, its political leadership practises are not democratic at all. Political leaders are not elected but just inherited from each other especially within the same family. Koreans are denied their rights because they do not have freedom of speech, do not vote for their leaders, are not allowed to own some property like communication devises, and not allowed to travel to other countries among others. Democratically, if a leader dies or fails to perform his or her duties, an election is supposed to be held for the citizens in order to elect another leader of their own choice. Every person has a right to own property, walk freely to other places, freedom of speech among others. However, this is not the case in some countries like North Korea. The elections in this country are not held. It is a form of a dictatorship government but it is claimed to be democratic. After the death of the first president, Kim Il-Sung in 1998, no election was held for people to choose another president. Instead, his son Kim Jong-Il inherited the position and became the president, although, he did not possessed the right qualifications for the position. He had to be trained for a period of 15 years for him to become able to rule the country. Being the president, his decision concerning the nation was final and no one could oppose him. After some time, in the year 2009, President Kim Jong-Il who had inherited the position from his late father Kim Il -Sung became sick and could not perform his duties. Again, no election was held. Kim Jong-un (the grandson of Kim Il-Sung and son of Kim Jong-Il) became the new president in the year 2012. This does not resemble a democratic society at all. People do not elect their leaders. All the three presidents came from the same family. A son inherited position from his father despite the required qualifications. The presidential position was later changed to National Defence Commission (NDC) where Kim Jong-Il became the chairperson and his words were final. Nobody could speak after him. As he was the chairperson, his brother in law, Chang Song-taek secured a higher position in the ruling party as the vice-director of the Korea Workers Party in the organization and guidance department. Chang Song-taek was then involved in an accident and stayed away from his duties for three years. During all that time, no one replaced him until he returned to the government and up to date he still serves in the same position. After being in the position for some time, Kim Jong-un replaced his vice chairperson who was Jo Myung-rok by his uncle Chang Song-taek his uncle. This was the second highest position. All the leaders were from the same family. One inherited a position after another and those in the highest positions used to promote their family members. Kim Jong-un even replaced his vice chairperson with Chang Song-taek just because he was his uncle. It is a form of a dictatorship government and not democratic. In the year 2008, when Kim Jong-Il was the chairperson of the National Defence Commission the country attained a Gross Domestic Product (GDP) of $ 24.8 billion. However, much contribution of the Gross Domestic Product was from the country’s industries while the other economic activities were contributing to the GDP being services, agriculture and fisheries. These were their main economic activities such as industrialization, farming, fishing and servicing. North Korea also exported minerals, precious metals, chemicals, non-ferrous metals, animal products, clothes and wood products. The country was also involved in trading activities with other countries. People used to sell commodities such as cigarettes, narcotics, counterfeit currencies, missiles, counterfeit drugs among other weapon systems and several illicit activities. 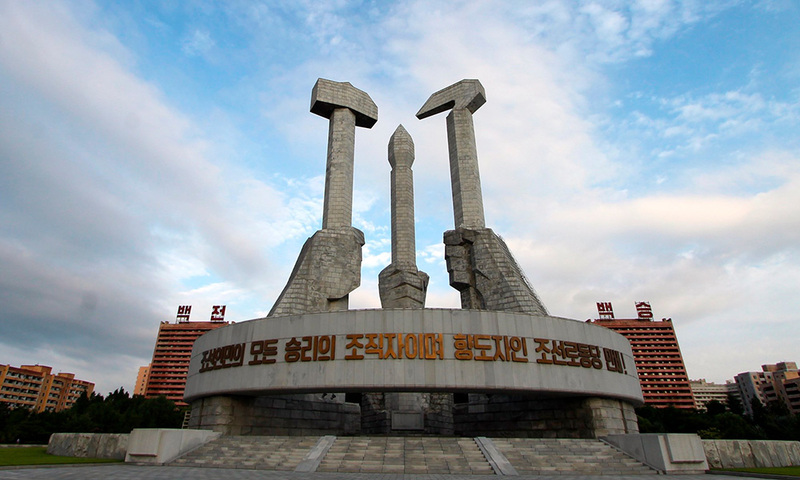 During the reign of president Kim Il-sung, he was emphasizing on the development of the industrialization as this had been seen to be the main economic activity as it contributed much to the country’s Gross Domestic Product. The country emerged at the top with the highest Gross Domestic Product in the earlier years (during the 1960s). The good economic performance was distorted when the Democratic People’s Republic of Korea started concentrating more on the leading economic activity, industrialization and assumed the other activities. The country spent $ 500 billion on the financing of the industrial sector. North Korea incurred a deficit while financing it since their current Gross Domestic Product of $ 28 billion could not have been financed. The government had set this strategy with an expectation that the country’s exports would increase and hence, the country would get enough funds to settle the debt. The expectations did not come true. The main reason was that there was no strategy set to teach people on how to use the new purchased machines and instruments (Hunter, 1999). The use of new machines and equipments, therefore, led to poor production, which reduced the number of exports and hence, and led to the reduction of the country’s Gross Domestic Product, what opposed the expectations. Another challenge experienced was concerning oil crisis where the price of oil raised throughout the world. The oil crisis made North Korea unable to purchase enough oil for its industrial activities. As a result, the country became unable to settle its debts and began defaulting in the year 1974. Democratic People’s Republic of Korea (DPRK) was then restricted from accessing technologies from Western countries. The country paid out the debt until 1985 when it reached a Gross Domestic Product of $ 5.2 billion. After settling the debt, the country had no currency reserves and transportation infrastructure became limited. This made the trading activities with other countries difficult. Initially, North Korea had focused more on developing industrialization, which then backfired and assumed the other sectors like agriculture. The country then experienced a lot of challenges in its agricultural activities such as limited electricity for irrigation, soil erosion, lack of firm inputs and inadequate fertilizer among other farming materials. The poor agriculture resulted to famine in North Korea where some people even died due to hunger. The country was forced to depend on relief food from other countries such as the United States, European Union, China and Japan. Since the North Korean’s were suffering from hunger, they became unable to work hard and the economic condition deteriorated and the country’s Gross Domestic Product shrieked by 42.2% and South Korea became the leading country. Due to the increased poor economic conditions, the North Korea leadership under the guidance of Kim Jong-Il saw a need for economic reformation. The leadership decided to change the existed constitution and the structure of the organization in 1998. In 2002, a strategy of letting all the state-owned enterprises fund themselves was set. According to the set strategy, state-owned enterprises were also allowed to trade between themselves, engage in international trade, and make some investments through their earnings. Another set strategy was to allocate farmers extra lands and allow them to sell their surplus products to the government. However, because of the increased cost of farming, farmers got discouraged with the low prices at which the government was buying their products. They then decided to change and produce cash crops, which could give them better pay. The problem of hunger persisted and the North Korean leadership decided to increase the pay of farmers in order to encourage them to produce more food rather than the cash crops like tobacco. Food was made available to all the citizens through the ratio card. Another set strategy was legalizing the use of foreign currency in the country where the exchange rate was lowered and citizens were given a right to make transactions using foreign currency especially the Euro. The government also restricted private sales and all the sales activities especially concerning food products, which were left in the hands of the government. Private enterprises were given permits only after succession, which made them to work hard. All the set strategies assisted in solving the experienced challenges and the country experienced economic growth in 2009. The government realized that there was excess of foreign currency in the country than the domestic currency. The government again increased the exchange rate, which discouraged people and decided to save their money that increased the rate of savings. According to the past economic observations, an increase in savings resulted to increase in investments, which in it turn led to economic growth. Due to the small economic growth, the North Korean leadership went on and cut all the relief aid from other countries without thinking of the consequences. The country’s capital, which had become beyond repair, became unable to produce more as it was expected by the government. The economy started shrinking again. Northern Korea’s government was seemed to be full of dictatorship. This was because the Koreans were denied their rights by the leadership. Ordinary residents were restricted from owning information devises such as televisions, radios, computers, mobile phones among others. Only those holding superior positions in the government were allowed to possess such devises. Ordinary individuals were also not allowed to travel out of the country, only the leaders were allowed to do so. These people had no freedom of speech and they could not suggest or propose anything concerning their lives. They were denied their rights to elect their leaders but those in higher positions were given the freedom to appoint people of their interests in the leadership positions especially their relatives. North Korea engaged itself in terrorism activities in 1987; it was involved in the bomb blast of KAL flight in South Korea. In 1974, the North Korean leadership made some arrangements of assassinating the South Korea president, Chung-ee. North Korea was involved in many cases of terrorisms such as attacks, hijacking and kidnapping mainly through the inhuman leadership. In 2008, the North Korea through the ministry of foreign services made a statement, which opposed the terrorist’s activities stating that they were making foreign countries fear to engage themselves in some activities like trade with people from North Korea or its citizens. As seen from the earlier times, Northern Korea leadership succession was within relatives. After the death of the first president, Kim Il-sung, his son was appointed as the next president although he did not meet the qualifications. The government incurred an extra cost for training Kim Jong-il for him to be equipped in handling the presidential responsibilities. However, government restructuring was done and instead of a president, the highest position was changed to be the National Defence Commission where Kim Jong-Il became the chairperson. Under his reign, his brother in law also held a position in the government where he became the chairperson in one of the key departments in the government. After some time the chairperson of the National Defence Commission suffered from a stroke and became unable to perform his duties. Instead of electing another chairperson, his son Kim Jong-un inherited this position. When Kim Jong-un became the chairperson of the National Defence Commission, he replaced his vice-chairperson by his uncle Chang Song-taek, which was the second highest position. Kim Jong-un was then found too young and unable to perform well the duties of a chairperson. This was a dictatorship form of government and no democracy existed. All these leaders inherited posts from each other and were from the same family. It was among the contributions of poor economic growth in North Korea. Initially, Korea was one country and no divisions existed. The divisions occurred because of the Second World War, North Korea and South Korea appeared. North Korea engaged itself in many evil activities against South Korea. Such activities were: planning assassination for the president of South Korea, kidnapping South Korea’s people and hijacking among others (Kummer, 2008). The two remained united until 1988 when Northern Korea suffered from the economic crisis and it had to get some assistance from the neighbour, South Korea. In the 1990s, the two, North and South Korea started holding some meetings together through the heads, where they made some agreements concerning, reconciliation, cooperation, exchanges and nonaggression. The North Korean government was in a risky position. First, the country could not access debts from other countries because of its high rate of default since the 1970s where it failed to settle its own debts. Other countries also feared giving loans to North Korea because of its unpredictable economic conditions. Accessing loan funds was difficult for them. The government had been able to reduce some forms of risks such as brutality and terrorism among others. North Korea also possessed some strengths and weaknesses. Among the strengths was its trained army, which made them lead in the Second World War and became much powerful than South Korea. North Korea possessed very powerful guns with long-lasting batteries. North Korea also owned sea and airspace. They had much more airplanes and ship marines than South Korea. These things made them emerge as the winning country, during the Second World War. Missiles and nuclear weapons were among their strengths. North Korea had set some underground bomb blasts through their nuclear weapons. 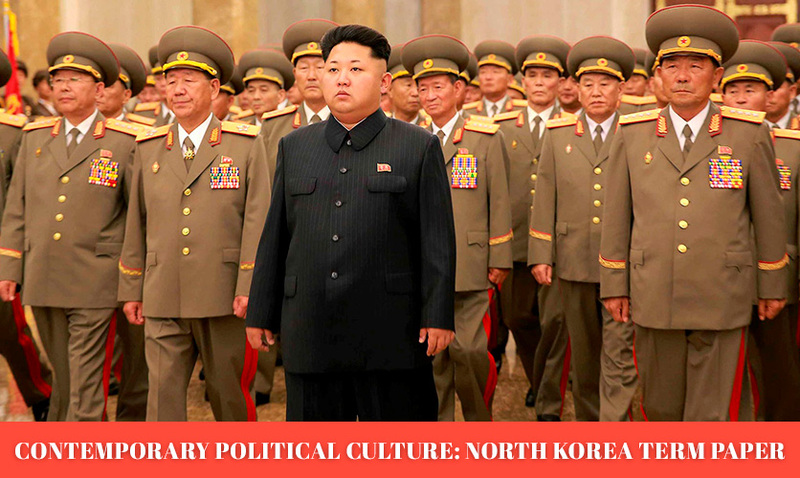 The North Korea leadership culture was not pleasing at all. All powers were centralized in the hands of the leader while ordinary residents were denied these rights. These made them perform poorly economically as the situation made the residents uncooperative with the government which led to poor economic growth. North Korea believed that it was powerful because of the strong army, the missiles and nuclear weapons. This was only a political power but not an economic power. In fact, it contributed to the decrease in economic growth since other countries feared to engage in some activities like trade with North Korea. The form of leadership that did not allow an ordinary citizen to have access to any information devise such as television, mobile phones, or computers also hindered North Korea from developments. The fact that an ordinary resident from Northern Korea was not allowed to travel out of the country made Koreans not able to see what people from other countries do and hence, there were no developments in the country. According to the above explanations, North Korea was among the poorest countries in the world. The main factor that contributed to poverty in North Korea was the form of government, dictatorship. The government denied residents their human rights such as, freedom of speech, voting rights, right to own properties and right to travel among others. Only those in the higher positions, especially those people in power were allowed to own some properties like televisions, mobile phones and computers, among other communication devises. The ordinary residents were not allowed to travel to other countries but just remain in the country. Koreans were also denied their rights to vote and those who are in higher positions were given the chance to appoint people in their own interests, especially their relatives. In North Korea, leaders inherited positions from one another from the same family. North Korea mostly invested in war rather than economic development. Its economic condition was poor; however, it had a trained army, very powerful guns with long-lasting batteries, nuclear weapons, marines, and airplanes (it was all for war). Although it was the most powerful in terms of war, it was among the last in economic conditions. It even, at some time failed to pay out its debts and was denied to access western technology, which made it poor. Since the leaders did not possess the required qualification, they could not perform well their duties, which contributed to the failure. The claim that North Korea was the most powerful country does not sound to be true. Yes, North Korea had the most powerful weapons and the best-trained army, but this did not make it powerful enough. Why there were cases of hunger in North Korea and dependence on relief food from other countries? Why was the government unable to pay out its debts, instead it defaulted? What made its Gross Domestic Product to keep on diminishing? The powerful weapons were not enough to call North Korea the most powerful. Instead, those weapons contributed negatively to the North Korea’s economy. They limited the residents from trading with people from other countries. North Korea focused more on war and forgot about other economic activities. At some time, it focused more on the development of the industrial sector and assumed other sectors such as the agricultural sector. The strategies set by the government on reformation were not enough. The key problem was the form of leadership. There was a need for the government to change its form of leadership. Strategies should have been set to change the form of government from the existed dictatorship to a democratic government. If people were allowed to vote and elect leaders of their own choice, they would have cooperated with them since they were of their interests. Electing leaders would also make North Korea to have quality leaders with appropriate qualifications, which could have made them to carry out their responsibilities well. This form of leadership could have given the citizens other rights such as freedom of speech, owning property and traveling to other countries and see what others do. This could have contributed to the growth of the North Korean economy. Hunter, H. (1999). Kim II- Song’s North Korea. Westport, CT: Praeger. Kummer, P.K. (2008). North Korea. New York, NY: Children’s Press.